Despite their propensity to be sucked into jet engines, capes (aka cloaks, wraps, ponchos, or shawls) make everyone and everything more awesome. 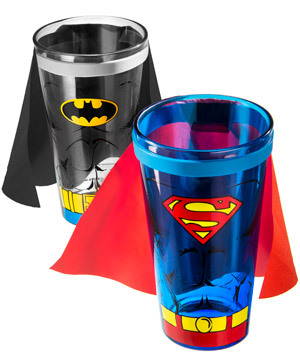 Therefore, by adding a cape to these officially licensed Superman and Batman Pint Glasses, we have entered into a new plane of awesomeness. Each 16-oz glass is made in the USA and features a durable polyester cape attached to a removable silicone strap. Currently available in Superman and Batman styles. 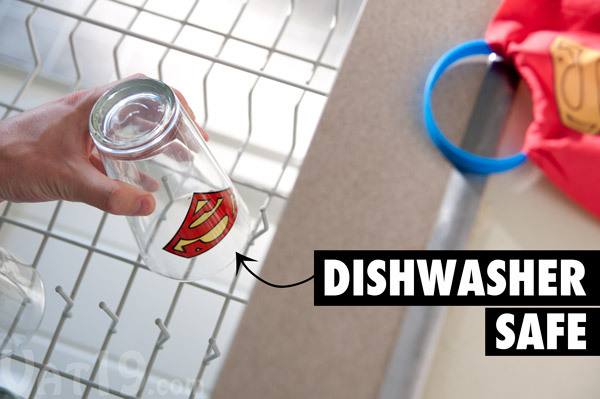 Although the glass is dishwasher safe, hand washing is recommended to extend the life and brightness of the imprint. The printed designs of the Caped Pint Glasses have changed slightly since this awesome video was made. Yeah. There's a cape on that glass. You got a problem with that, bro? At first blush, adding a cape to a pint glass may seem silly, whimsical, and superfluous. And you'd be right. It is silly, whimsical, and superfluous. 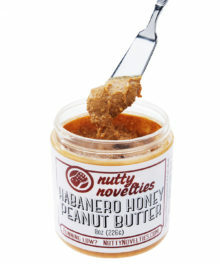 But it's also awesome. Deal with it. 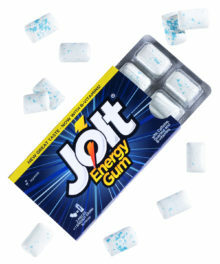 Now buy one. 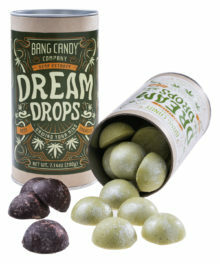 Heck, buy two. 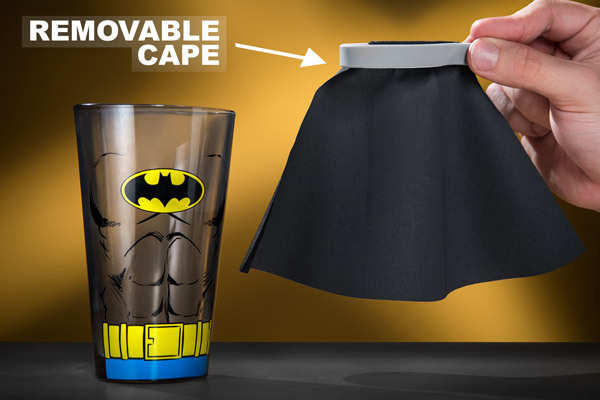 The polyester cape attaches to your Superhero Pint Glass via its silicone band. 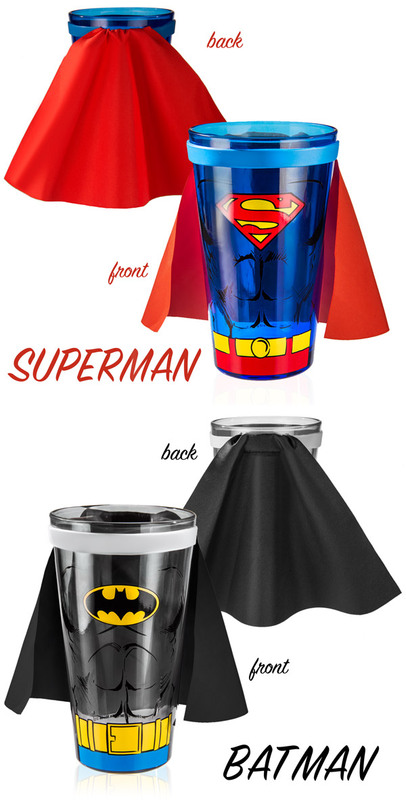 Our Caped Pint Glasses are currently available in two officially licensed styles: Superman and Batman. 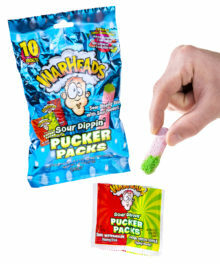 Get them both. Because as soon as one of your friends sees you enjoying a frosty beverage in a glass with a cape, their drink will suddenly taste like liquid fart. And the only remedy for liquid fart is a Caped Pint Glass. That's science, kid. 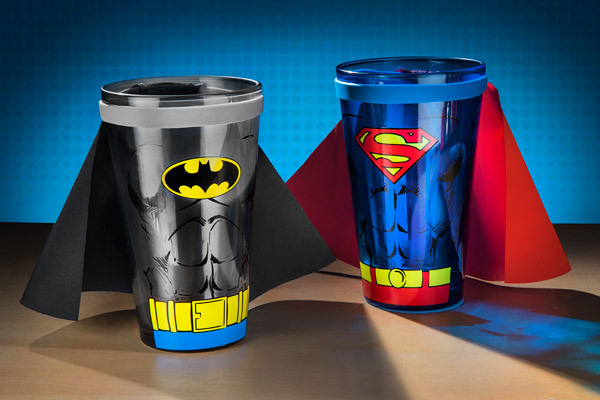 Caped Pint Glasses are currently available in Superman and Batman styles.